Get the Full StoryBloody Elbow has all the details on Terence Crawford vs. Jeff Horn right here, including fight card, fight time, live stream info, results, and more. 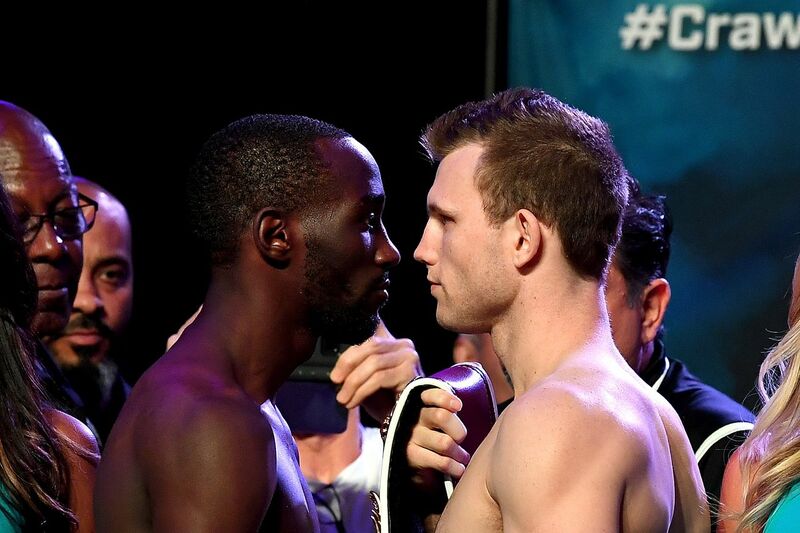 The WBO welterweight title is at stake in Las Vegas, Nevada, as Australian titleholder Jeff Horn 18-0-1, 12 KOs defends his belt against American Terence Crawford 32-0, 23 KOs , in what is Crawford s debut in the 147-pound division. Horn is best known for his controversial decision win over Manny Pacquiao, which won him the WBO strap in the first place. He s since defended it once, scoring a TKO over Gary Corcoran. Crawford is coming off unifying all four major titles in the 140-pound division, having stopped Julius Indongo with a body shot. Bud is an exciting talent, and is considered one of the best pound-for-pound boxers in the world, and as you would expect he is a heavy favorite. Horn has played spoiler before, but this would be something extraordinary if he prevails tonight Saturday, June 9th . Fight time: The main event is expected to start at 11 PM ET 8 PM PT. Undercard action should start at around 6:30 PM ET 3:30 PM PT. TV Network: Australians can watch the fight on Main Event PPV, for the cost of 49.95 AUD . Fans in the UK can catch the card live on BoxNation at 1:30 AM local time. In Canada, TSN3 carries the broadcast at 7:30 PM ET 4:30 PM PT. Live stream: US viewers can only watch the card on the ESPN streaming service, which costs 4.99 month or 49.99 year. A 7-day free trial is available for non-subscribers, so if you want to see this fight and then cancel, you re free to do so. UK fans can stream BoxNation on mobile devices or on their computer.